Draft: 2008, Chicago Cubs, 9th rd. 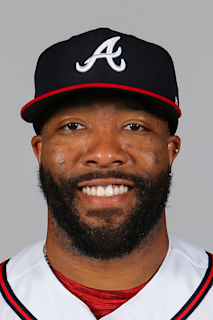 February 15, 2019 Milwaukee Brewers signed free agent RHP Jay Jackson to a minor league contract and invited him to spring training. February 15, 2019 RHP Jay Jackson assigned to San Antonio Missions. December 31, 2015 Yaquis de Obregon placed RHP Jay Jackson on the reserve list. December 21, 2015 San Diego Padres released RHP Jay Jackson. November 14, 2015 RHP Jay Jackson assigned to Yaquis de Obregon. September 14, 2015 San Diego Padres selected the contract of RHP Jay Jackson from El Paso Chihuahuas. April 27, 2015 RHP Jay Jackson assigned to El Paso Chihuahuas from San Antonio Missions. April 6, 2015 RHP Jay Jackson assigned to San Antonio Missions from El Paso Chihuahuas. January 28, 2015 RHP Jay Jackson assigned to Mexico. January 26, 2015 San Diego Padres signed free agent RHP Jay Jackson to a minor league contract and invited him to spring training. January 26, 2015 RHP Jay Jackson assigned to El Paso Chihuahuas. November 16, 2014 Yaquis de Obregon activated RHP Jay Jackson. October 14, 2014 RHP Jay Jackson assigned to Yaquis de Obregon. October 14, 2014 Yaquis de Obregon placed RHP Jay Jackson on the reserve list. August 7, 2014 Indianapolis Indians traded RHP Jay Jackson to Nashville Sounds. April 21, 2014 RHP Jay Jackson assigned to Indianapolis Indians from Jamestown Jammers. April 16, 2014 RHP Jay Jackson assigned to Jamestown Jammers from Indianapolis Indians. April 2, 2014 RHP Jay Jackson assigned to Indianapolis Indians. November 20, 2013 Pittsburgh Pirates signed free agent RHP Jay Jackson to a minor league contract and invited him to spring training. November 4, 2013 RHP Jay Jackson elected free agency. October 7, 2013 RHP Jay Jackson assigned to Venados de Mazatlan. September 5, 2013 New Orleans Zephyrs activated RHP Jay Jackson from the 7-day disabled list. August 16, 2013 New Orleans Zephyrs placed RHP Jay Jackson on the 7-day disabled list. July 13, 2013 RHP Jay Jackson assigned to New Orleans Zephyrs from Jacksonville Suns. April 26, 2013 Jay Jackson assigned to Jacksonville Suns. April 9, 2013 Miami Marlins signed free agent RHP Jay Jackson to a minor league contract. April 4, 2013 Iowa Cubs released RHP Jay Jackson. March 8, 2013 RHP Jay Jackson assigned to Chicago Cubs. November 2, 2012 RHP Jay Jackson assigned to Venados de Mazatlan. January 30, 2012 Chicago Cubs invited non-roster RHP Jay Jackson to spring training. November 18, 2011 RHP Jay Jackson assigned to Leones del Caracas. April 21, 2011 Iowa Cubs activated RHP Jay Jackson from the 7-day disabled list. April 3, 2011 Iowa Cubs placed RHP Jay Jackson on the 7-day disabled list. January 27, 2011 Chicago Cubs invited non-roster RHP Jay Jackson to spring training. March 12, 2010 RHP Jay Jackson assigned to Chicago Cubs. March 12, 2010 Jay Jackson assigned to Chicago Cubs. September 6, 2009 RHP Jay Jackson assigned to Iowa Cubs from Daytona Cubs. July 30, 2009 Jay Jackson assigned to Daytona Cubs from Tennessee Smokies. June 14, 2009 Jay Jackson roster status changed by Tennessee Smokies. May 31, 2009 Tennessee Smokies placed RHP Jay Jackson on the 7-day disabled list.